There are significant inequalities in access to Primary education as far as income; gender and social group are concerned. There are various factors will influence the decision of parents to get their children to work with them and ask to leave school.The capacity of the primary schooling system needs to be significantly expanded across the villages. 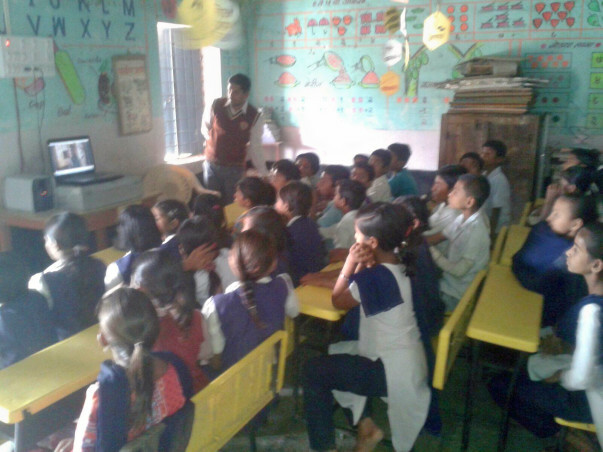 The concept of “Smart School” in government primary schools is introduced in Parbhani District with a vision to enable students to learn using technology to make learning process more fun innovative, interesting giving students an opportunity to gather more knowledge and be at par other private education system. It will also encourage and help to be confident. The motto of introduction of ‘Smart School’ is not only to build ‘Techno Schools’ but also to make the entire environment of learning ‘Smart’ by integrating the concepts of learning through audio-visual. Each classroom is provided with one Computer, Fan, Printer, UPS, Mini Library (500 Books) and a resource person (School teacher having Skill and Knowledge of Computer) is selected to provide the education to students. Concept of smart class is to utilize modern schooling techniques to help student grow their skills, knowledge using modern and latest technology. Introduction of computer systems to facilitate learning in school is a step towards it. In modern active and innovative learning system teacher’s role is going to be as a facilitator. Teacher is Backbone of our program. We are training the teacher about use of computers and internet, use of smart and innovative teaching learning, Audio- Video recording. We encourage the approach of Students and teachers about smart class and smart education. We will give the Computer, Books, Not Books and Skill Development for Village students. we will pursach the project to the school. The project has been able to motivate students to come to school regularly and focus on their academics.